Do you frequently walk out of our home and after a few minutes start wondering whether you turned off the bathroom geyser or AC in the bedroom? Or does your electricity bill make you think about the measures to save electricity? Fortunately, now we have an innovative solution to manage these day-to-day problems. Smart electrical plugs are highly affordable and easy-to-use product which allows you to control multiple appliances anytime, anywhere with just your smartphone. Moreover, if you want to transform your home into a smart home, a smart plug can be an excellent starting point. Needless to say, the most important benefit of a smart plug is its ability to manage multiple appliances. No matter if you are looking to turn on/off your AC, water pump motor, set-top box, or smart geyser control, a smart plug allows you to manage all of it and a lot more. Most importantly, you can use its mobile app to manage your home appliances from anywhere. With the help of a smartphone app, smart plugs allow you to track the energy consumption to make sure that you are well-protected from electricity bill surprises at the end of the month. With the ability to monitor and turn off devices from anywhere, you’ll surely be able to save a substantial amount of electricity which will result in a reduction of unnecessary consumption. Some of the best smart plugs feature motion sensor to detect motion in the proximity and notify you about the same through text and email. Enjoy each of your vacations without worrying about the safety of your home as your smart plug will instantly notify you of intrusion 24×7. Moreover, this also eliminates the need to install additional security cameras to keep your home protected. 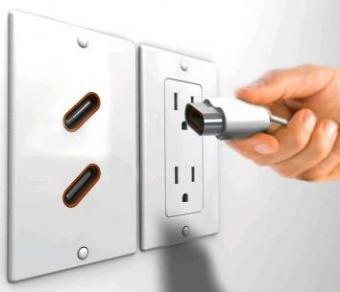 Smart plugs can be managed by multiple users. Be it flat mates or family members, multiple users can download the smart plug app in their phone to manage appliances, track electricity consumption, set schedule and receive notifications when an appliance is turned on/off, or an intruder is detected. However, not every smart plug comes with this feature. Make sure that you check the features of the smart plug before buying. If you are looking to experience all of the benefits mentioned above, buy a smart plug today and enjoy a simpler, convenient, secure and rewarding life. Make sure you choose a company that offers smooth and lag-free app and has all the features mentioned above and more. Live smart!